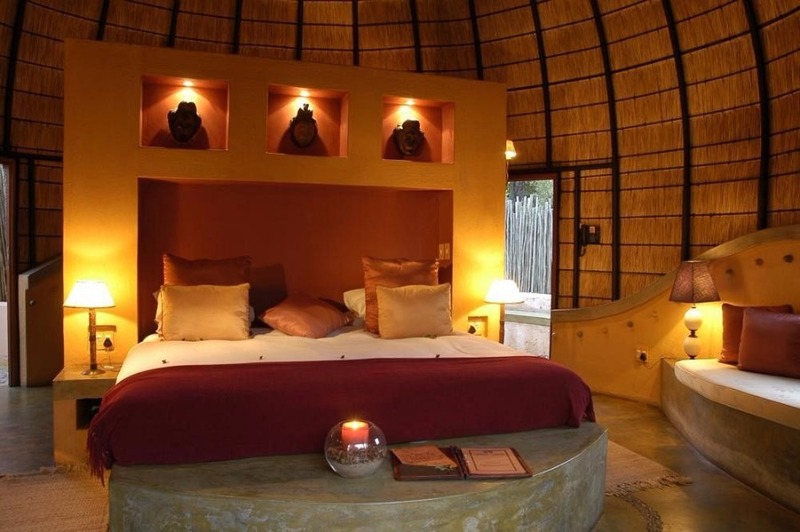 Why Choose Hoyo Hoyo Tsonga Lodge? 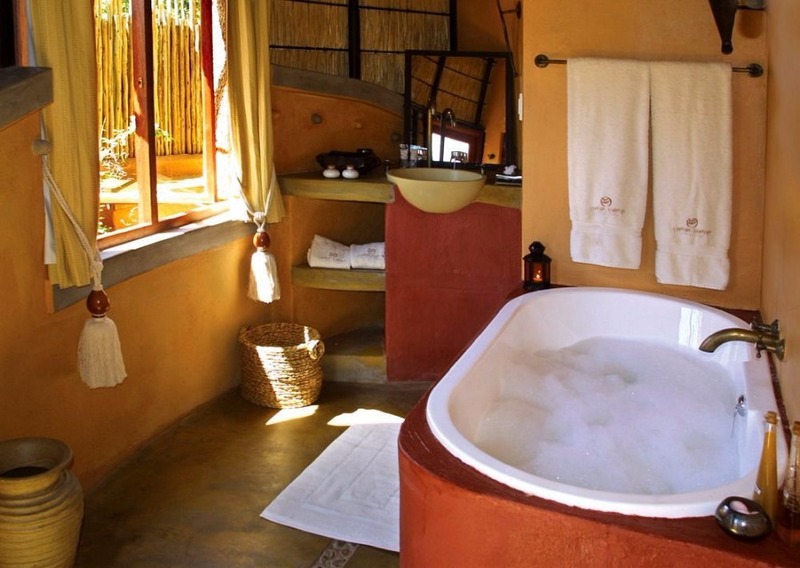 Six luxury air conditioned ‘bee-hive’ suites, cylindrical in structure with earth coloured walls and a tapering thatched reed roof boast king size beds, en-suite bathrooms, outdoor showers and private game viewing decks. All fabrics, décor and objet d’art are sourced from the local Tsonga community and stand tribal proud. 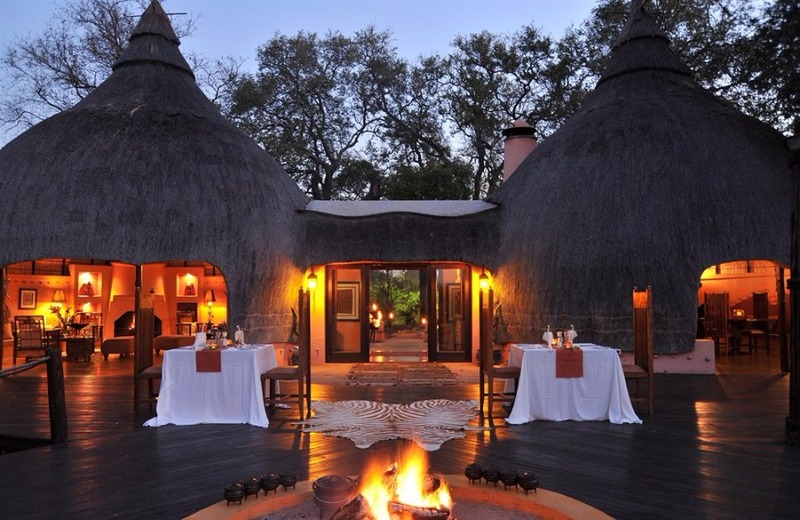 The Menus at Hoyo Hoyo Tsonga Lodge are of world – class standards, yet served with a traditional flair, such as breakfast in a potjie pot or over the coals of a braai, delicately balanced with a European flair to accommodate all tastes. Drinks are served in an authentic calabash, and dinner is a delightful social affair. 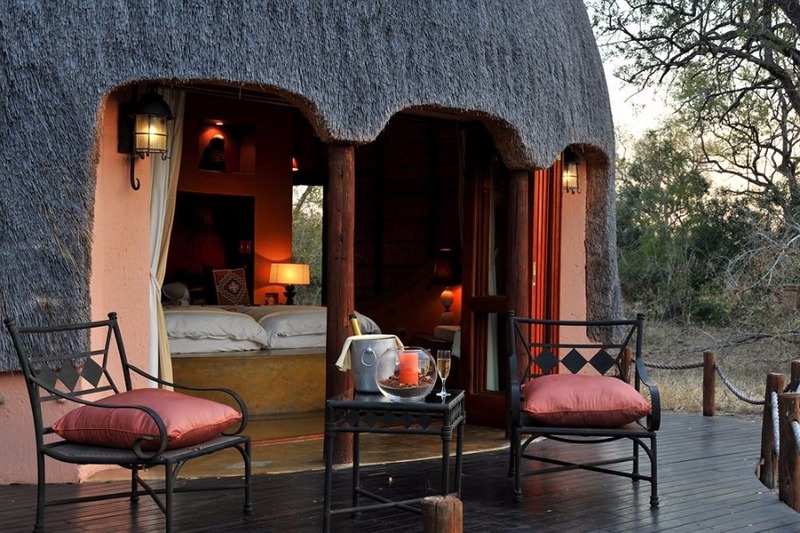 Game drives are conducted in open safari/game viewing vehicles with experienced and informative Rangers. 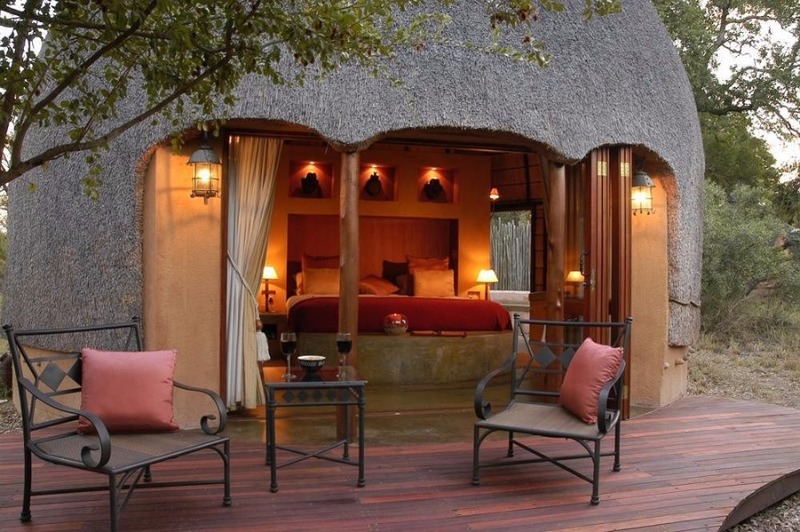 Alternatively guests can take a guided walk (subject to availability)or relax on the deck and view the animals that come to enjoy the adjacent waterhole. 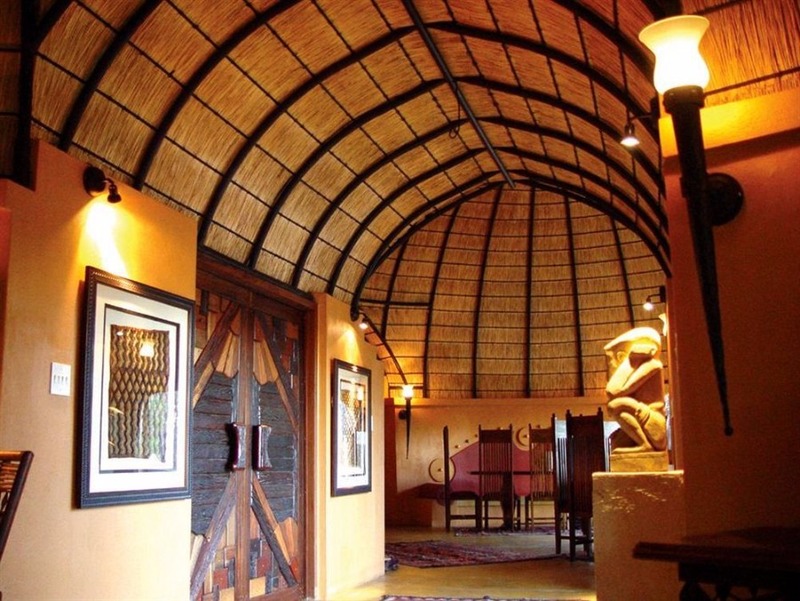 Hoyo Hoyo Tsonga Lodge is situated within the Kruger National Park which boasts one of the most diverse game viewing experiences in South Africa and is home to an estimated 1,500 lion, 12,000 elephant, 2,500 buffalo, 1,000 leopards and 5,000 rhino (black and white). Guests staying at Hoyo Hoyo Safari Lodge will be offered complimentary transfers from Skukuza Airport and Hoedspruit Eastgate Airport. Complimentary transfers will operate in conjunction with the daily Airlink flights from Johannesburg and Cape Town direct to the new Skukuza Airport in the Kruger National Park, as well as the daily SA Express flights to Hoedspruit Airport. These free transfers are for the exclusive use of guests flying into these airports only and are subject to availability and confirmation at time of reservation. The transfer from Skukuza Airport to the three safari lodges is approximately 60km, with a drive time of 1.5 hours depending on game viewing stops along the way. 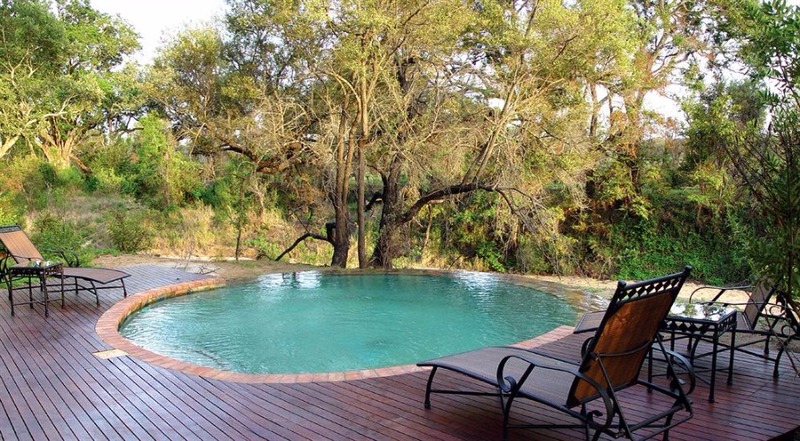 Transfers from Hoedspruit Airport are approximately 1.5 hours with an hour of that being inside the Kruger. “We believe that the complimentary transfers make getting to our lodges hassle-free. 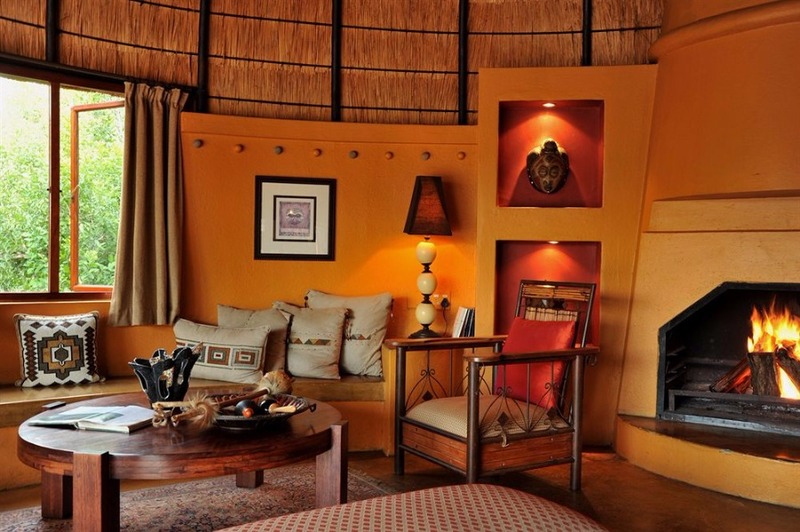 After a short flight to Skukuza or Hoedspruit, our guests are immediately immersed in the beauty of the Kruger National Park, where they can relax and start their safari on the way to the lodge.” commented Trevor Macdougall, General Manager of Imbali Safari Lodge. Rates exclude: Transfers, premium brand drinks and gate entry fees which are currently R83 per person per stay, subject to change. Subject to change without prior notification. Reservations made 60 Days or more prior to arrival: Reservations will be held for 7 days from date of booking. 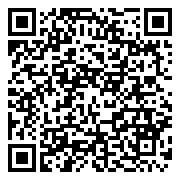 A 20% deposit is required on confirmation and the balance is due 30 days prior to arrival. If not received timeously, the rooms will be released automatically. Reservations made 59 days or less reservations will be held for 72 hours from date of booking. Full payment is required on confirmation of the booking. 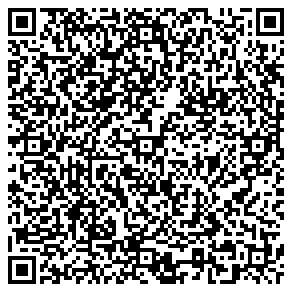 If not received timeously, the rooms will be released automatically. Accommodation, three meals and selected beverages (soft drinks, water, beer, selected wines & spirits). 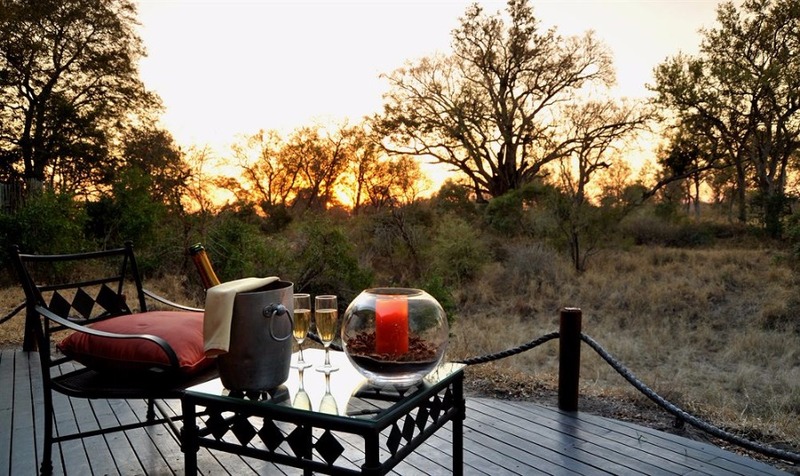 Two game drives and VAT at 15%.Rate Exclusions:Transfers not specified, premium brand beverages and gate entry fees of R 83.00, which are payable per person per stay. A healer or ‘nanga’ plays an important role at the Lodge providing guests with a fascinating glimpse into the history of the Tsonga people. Dancers and singers, all staff members, jointly promote an African feel. All the professionally trained staff at Hoyo Hoyo Tsonga Lodge come from the local community and interact with guests, teaching them the Tsonga ways in a personal manner – usually around an open fireplace or ‘huvo,’ or on the deck outside the main lodge where tribal tales are told before and after dinner. 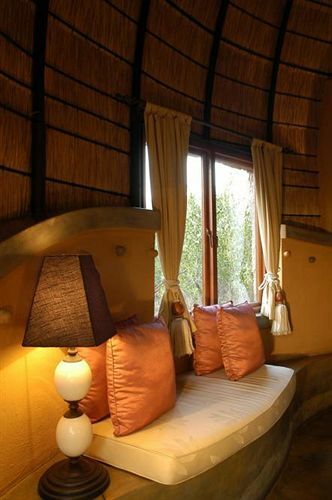 Upon retiring, guests can look forward to a little Tsonga ‘magic’ as they rest their weary heads. 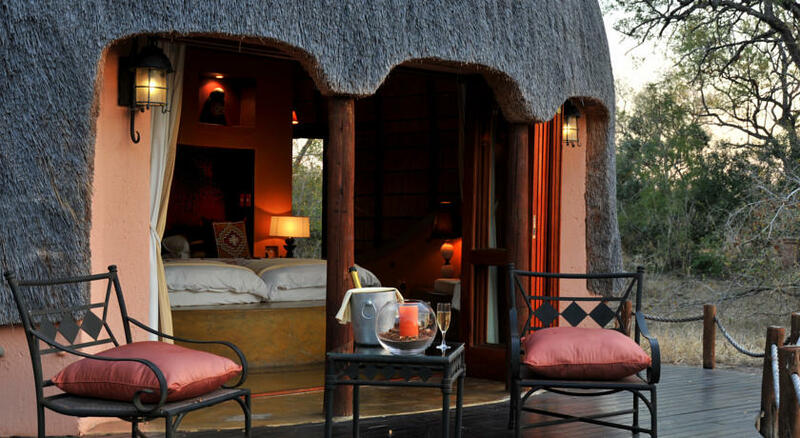 Activities at Hoyo Hoyo Tsonga Lodge include daily game drives/safaris in “Big Five” country, bush picnics and champagne breakfasts. 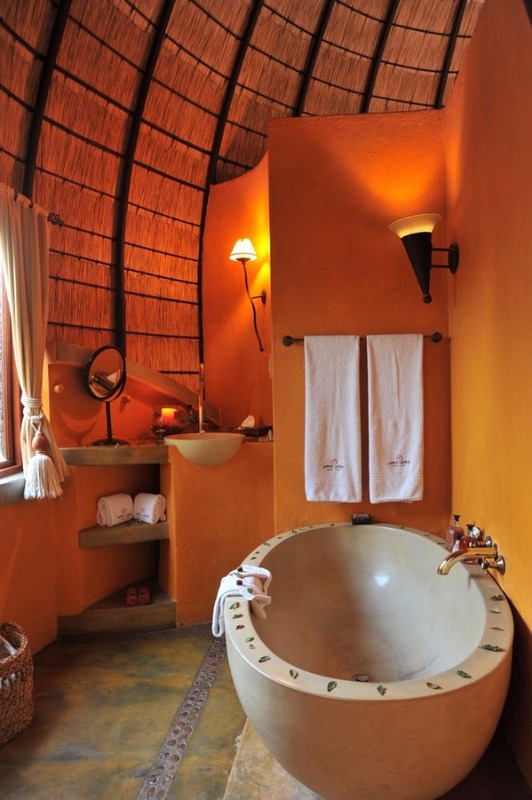 Standard Room - Single - Six luxury air conditioned ‘bee-hive’ suites, cylindrical in structure with earth coloured walls and a tapering thatched reed roof boast king size beds, en-suite bathrooms, outdoor showers and private game viewing decks. All fabrics, décor and objet d’art are sourced from the local Tsonga community and stand tribal proud. 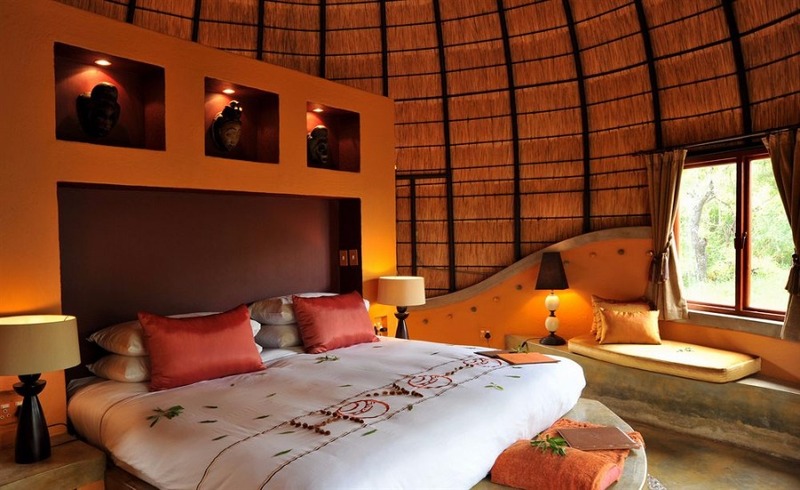 Standard Room - Double - Six luxury air conditioned ‘bee-hive’ suites, cylindrical in structure with earth coloured walls and a tapering thatched reed roof boast king size beds, en-suite bathrooms, outdoor showers and private game viewing decks. All fabrics, décor and objet d’art are sourced from the local Tsonga community and stand tribal proud. 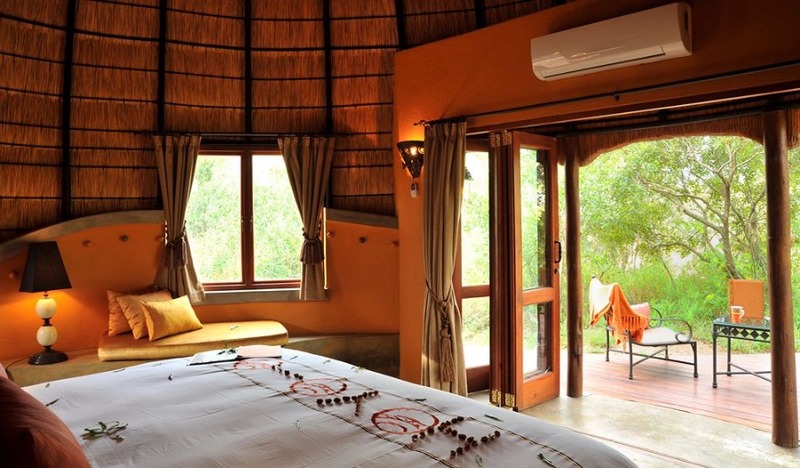 Standard Chalet Double SA rate - Six luxury air conditioned ‘bee-hive’ suites, cylindrical in structure with earth coloured walls and a tapering thatched reed roof boast king size beds, en-suite bathrooms, outdoor showers and private game viewing decks. All fabrics, décor and objet d’art are sourced from the local Tsonga community and stand tribal proud. 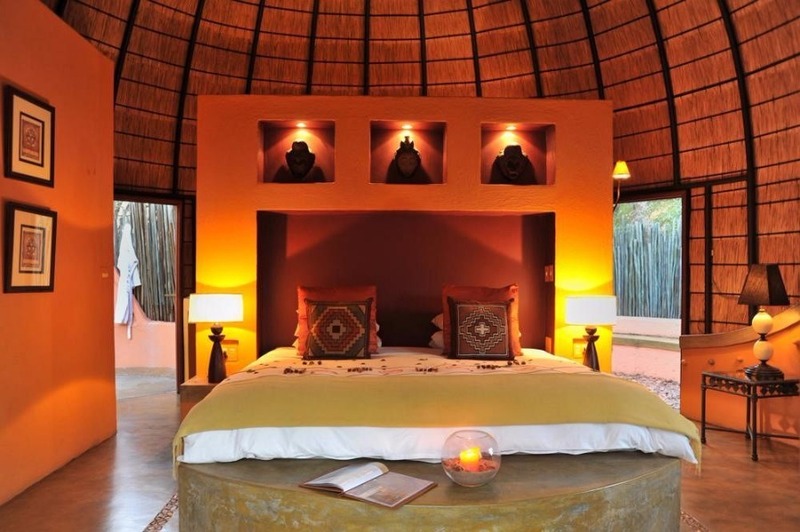 Standard Chalet Single SA rate - Six luxury air conditioned ‘bee-hive’ suites, cylindrical in structure with earth coloured walls and a tapering thatched reed roof boast king size beds, en-suite bathrooms, outdoor showers and private game viewing decks. 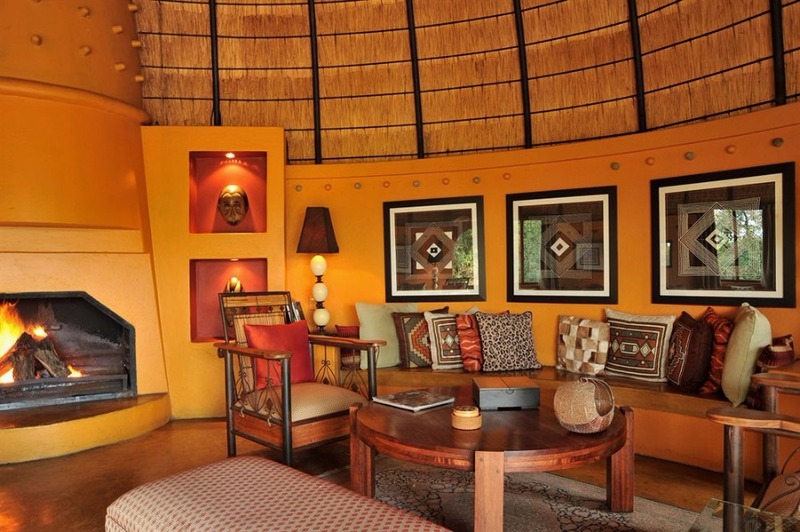 All fabrics, décor and objet d’art are sourced from the local Tsonga community and stand tribal proud.